The fairy-tale view of Israel as eternally besieged and completely faultless in its conflict with the Palestinians, as presented by David Brumer in the March 18 Focus (“Play shines light on conflict”), has certainly taken a hit this past year. A growing number of Americans who deeply sympathize with Israel, including former President Jimmy Carter, have spoken eloquently of the need to recognize that Israel has committed severe human rights violations against the Palestinian people through its nearly 40-year military occupation and theft of Palestinian land for Israeli settlements. While extremely critical of Palestinian terrorism, they conclude that peace with security is not possible until Israel ends the injustices. Perhaps that is why Israel’s more fervent apologists are resorting to distortion and defamation as their preferred method to discredit anyone who dares acknowledge Palestinian grievances or Israel’s grave and well-documented human rights abuses. Carter is facing an onslaught of malicious charges that range from intentionally lying to anti-Semitism. They want to silence an emerging debate over the United States’ one-sided embrace of Israel. 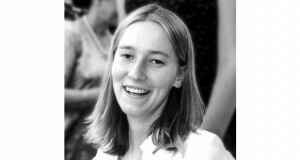 This method of attacking the messenger is clearly on display in Brumer’s article as well as in the flurry of protest against the play “My Name is Rachel Corrie” at the Seattle Repertory Theatre. The play tells the story of the 23-year-old woman from Olympia crushed to death by an Israeli bulldozer demolishing Palestinian homes in the Gaza Strip. Instead of joining with Carter, Rachel Corrie and countless others, many Israeli and Jewish, who recognize Israel’s occupation and settlements are unjustified and prevent peace, Brumer peddles defamation and falsehoods about Corrie masquerading as reasonable criticism. 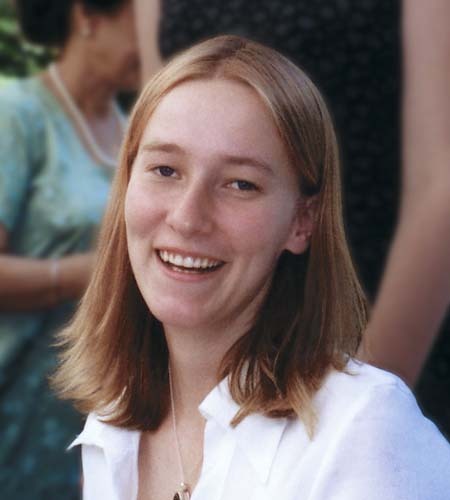 Claiming that Corrie was even “unwittingly” supporting terrorists is contradicted by the fact that the Israeli army has never claimed or provided any evidence that the homes in the neighborhood of Gaza that Corrie was defending when she was killed were concealing tunnels or were involved in attacks on Israelis. Claiming Corrie was in any way providing cover for suicide bombers is easily proved false by the fact that no Palestinian suicide bombers had come from Gaza three years before or during the time Corrie was there. Claiming that Corrie was working with an “extremist” organization is contradicted by the fact that the International Solidarity Movement to End the Occupation is composed of leading Palestinian voices of non-violence and supported by numerous Israeli peace groups. Legitimate questions can be raised about Corrie’s risky decision to enter into a very dangerous conflict zone. But that zone was dangerous precisely because Israel has imposed a merciless military occupation over a largely defenseless population and was wantonly demolishing homes to steal land for Israeli settlements. One can certainly and rightly blame, as Brumer does, Palestinian extremists for damaging the moral justness of the Palestinian cause through murderous and strategically worthless suicide bombings that have killed hundreds of innocent Israelis. But none of that justifies Israel continuing to steal Palestinian land and building a wall deep within Palestinian lands to annex those settlements. Nor does it prevent Israel from taking unilateral steps to vacate completely the land that it has illegally occupied since 1967. Brumer’s complete silence regarding Israel’s occupation and settlements implies that it does. Brumer’s implicit justification for Israel’s occupation and settlements is the continually recycled myth that Israel has always extended its hand of peace while Palestinians have always rejected it. This myth conveniently ignores the fact Israel’s “generous offer” at Camp David in 2000 was based on Israel annexing the bulk of its settlements, cutting any Palestinian state into five tiny enclaves surrounded by Israel. Brumer touts Israel’s recent withdrawal from Gaza, but ignores Israel’s withering siege upon its imprisoned population. Brumer also justifies the status quo by emphasizing the immutable extremism of Hamas. But the fact is that Hamas has not conducted a single suicide bombing in nearly two years and has endorsed a reciprocal truce with Israel if it were to withdraw completely to its 1967 borders. But Israel completely rejects those terms, missing a historic opportunity to undercut Hamas extremism. Those who truly support a balanced and just peace in the Middle East should honestly debate Corrie’s life and legacy. Her very act of acknowledging legitimate Palestinians grievances and her promotion of alternatives to violence was a message of hope and peace sorely lacking today. By attacking the messenger, Corrie’s detractors are sending a clear message opposed to hope and peace. Steve Niva teaches international politics and Middle East studies at The Evergreen State College in Olympia.